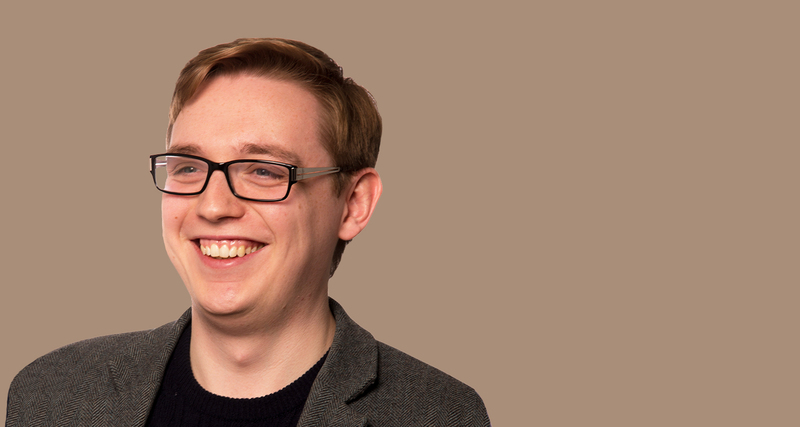 Antony is a heritage consultant with a background in all things historical. After graduating from Sheffield and Birmingham universities with degrees in history and ancient history, and a stint in publishing as an editorial manager, he studied the conservation of historic buildings at the University of York thanks to the fortuitous accumulation of interests in history, architecture, and design and how they converge in urban spaces to create beautiful, meaningful, and engaging places. After graduating, Antony worked as a local authority conservation officer responsible for significant historic areas including medieval Warwick and Kenilworth, as well as the prominent Georgian and Regency town of Royal Leamington Spa, collaboratively managing the conservation and positive development of historic buildings, places, and areas. Favourite building in the UK, and why? I am fascinated by Park Hill flats, a Grade II* listed post-war block in Sheffield and the largest protected historic structure in Europe. Built between 1957 and 1961, designed by Ivor Smith and Jack Lynn, the building is one of the most prominent and dramatic examples of Brutalism adapting Le Corbusier’s unites d’habitation concept for the UK context. The building represents the evolving nature of heritage in the UK, and recognises the inherent diversity in the types of architecture and places people draw value, meaning, and inspiration from. The building encapsulates how we have moved from considering heritage and historic significance solely in terms of concepts such as age and artistic achievement, to something that takes account of a much deeper social meaning. Park Hill flats is not just representative of an important architectural style, though it is a key part of the design and material experimentation of the 1950s and 60s, but also symbolises the social and humanist elements of post-war reconstruction, whether those projects were ultimately successful or not, with an emphasis on achieving a socially-conscious modernity and which remains a prominent part of the living collective memory of the city today. I love to cook and bake. Though I don’t think I will be entering Bake-Off any time soon – I could not handle the pressure of potentially letting Sandi Toksvyg down. Particular favourites of mine include homemade pizza and prawn risotto (not together of course), and I love baking bread and making my own pasta. 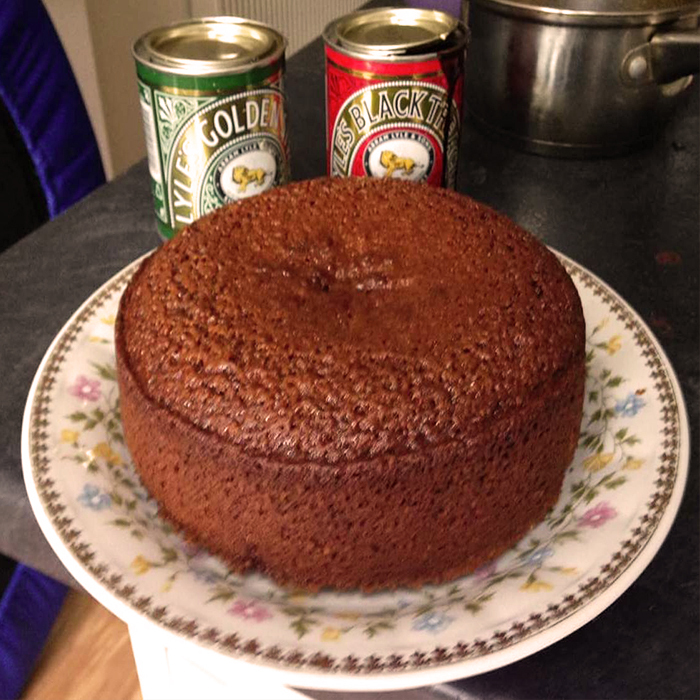 I used to bake amoretti biscuits but they were deemed too deliciously addictive and are now officially banned in my house, replaced by the equally delicious Parkin (an autumnal ginger cake) as the staple sweet treat. Most likely Node employee to…. ….bore people by randomly stopping as we are walking down the street to check out a blank wall if it looks vaguely historic, and then carry on fuming if they have not used the right lime mortar. I was recently at the Rosslyn Chapel near Edinburgh – a building over 600 years old, full of elaborate and mysterious carvings including apotropaic marks and masons marks – and when I looked through my photos afterward I had actually spent time, and taken great care, to capture several (more than is healthy) close-up shots of the mortar joints. I would also say I was the most likely to draw attention to hilarious medieval street names. 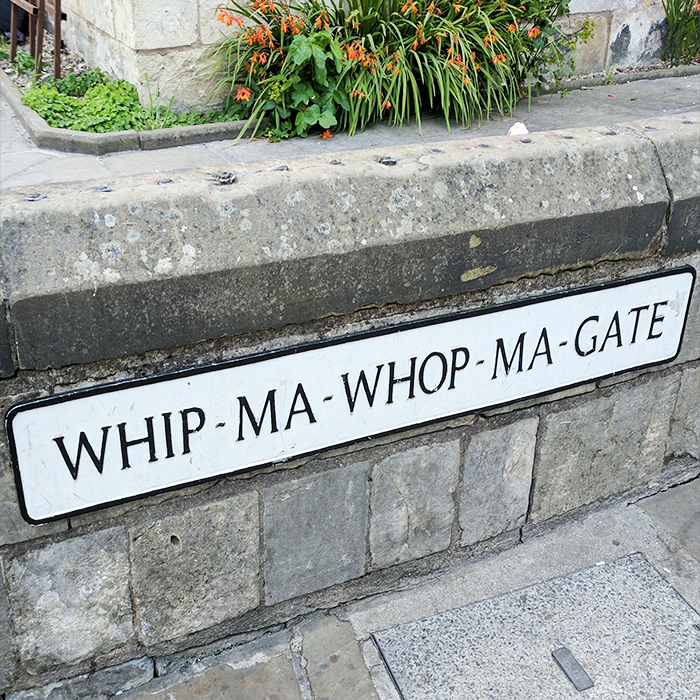 My particular favourite is Whip-ma-whop-ma-gate in York.